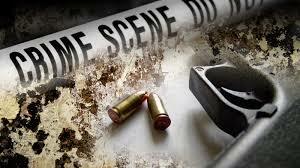 PUNE: The Pune police have arrested a lawyer and two others for allegedly plotting to kill a former corporator. The probe also revealed that advocate Sushil Mancharkar, former president of Pimpri Chinchwad Bar Association, with the help of Suresh Swaminath Zende, had arranged the escape of three under-trial prisoners in April, police said. Mancharkar allegedly wanted to kill Kailash Kadam, a former Congress corporator, over some enmity. On April 10 this year, Kalya alias Raju Patre, Santosh Jagtap and Santosh Chandilkar escaped while being taken from Yerawada Prison to Khandala in Satara district for a court appearance when the police van halted for 'toilet-break'. Mancharkar wanted the three history-sheeters out of jail to execute the job of killing Kadam, police claimed. He gave Rs 5 lakh to Zende, and provided guns and cartridges to the three accused after they escaped. However, before the killing could be executed, a team led by inspector Rajendra Todkar of Pune Crime Branch nabbed Patre from his home in Pune. "Patre spilled the beans and revealed Zende's name, who was arrested. During Zende's questioning Mancharkar's involvement (as the main conspirator) was established," said a police official. In 2015, Mancharkar was lodged in Yerawada Prison in an attempt to murder and dacoity case. He met the trio there. Mancharkar was arrested yesterday. He, alongwith Patre and Zende, is booked under IPC section 120 B (criminal conspiracy). A court here remanded them in police custody till September 19. Chandilkar and Jagtap are still absconding.